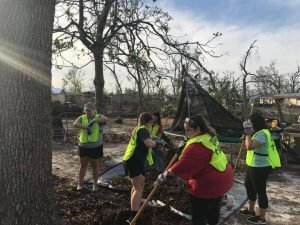 It has been three months since Hurricane Michael devastated Florida in what is known to be the strongest storm to ever hit the Florida Panhandle. It is reported that Hurricane Michael caused at least 60 fatalities and nearly 15 billion dollars in damages. Those impacted by the storm are still picking up the pieces, and will likely be doing so for a very long time. On January 2-8, 2019, ten Concordia University Ann Arbor students and Campus Pastor Rev. 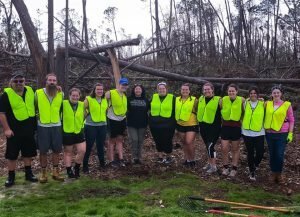 Randy Duncan spent a week of CUAA’s winter break to assist in the post-storm recovery. “When I first began investigating on ways we could serve this area, it was difficult to find out who to partner with because the relief effort was still happening in real time,” said Duncan, who began seeking opportunities to help shortly after the hurricane hit. 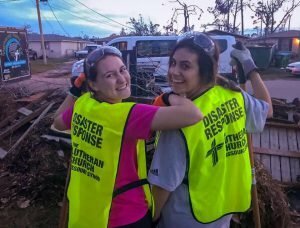 It was then that Duncan discovered that the Southern District of the Lutheran Church—Missouri Synod was working with Shepherd’s Heart Disaster Response Ministry under the leadership of Rev. Ed Bashier. 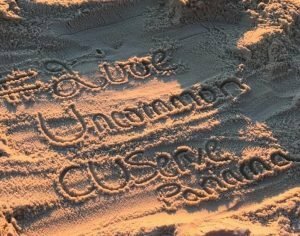 The CUAA mission team would be able to be housed at Camp Trinity at Trinity Lutheran Church in Panama City. A typical day included breakfast at 7:30 a.m. and receiving the day’s assignment from Rev. Bashier at 8 a.m. Depending on the drive, the mission team would arrive to the worksite by 9:30 a.m. and work until sundown. The work that needed to be done mainly consisted moving debris of destroyed homes to the curbside where cities could then remove the debris. CUAA worked alongside Laborers for Christ, retired construction workers who volunteer their time, helping them manage the machinery and power tools. The mission team then closed the day with a devotion and a debriefing on ways they saw the Lord’s work throughout the day, as well as a much needed shower. Luckily, the shower trailers arrived to the housing site just before the Concordia team’s arrival. Alex Elliot, a freshman education major, said that there were many moments that made the trip memorable. Elliot said she we reminded of this lesson every night in the beautiful sunsets. Duncan said that despite the exhausting work, the week was filled with fun and laughter, and the joy was contagious to anyone working alongside the Concordia students. What Duncan enjoyed most was the faith formation he witnessed the Lord’s work not only through the students, but also in the students themselves. 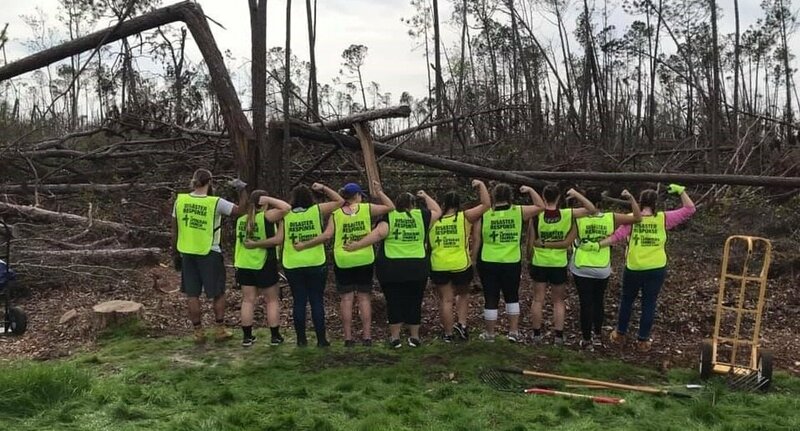 At times Duncan would look over catch the students spontaneously praying together for the people devastated from Hurricane Michael’s wrath. He witnessed faith being revived, and even had students on the trip ask him about getting baptized. Each year, Concordia’s campus ministry department hosts a number of mission trips for students to be a part of. 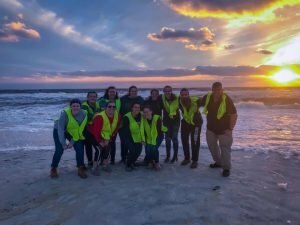 Some trips are reoccurring, like the annual trip to New Orleans over spring break, while other mission teams are formed on an as needed basis, such as this trip to Florida. CUAA will also be sending students to Guatemala in March.